Thank you to everyone who attended our Resilience & Empowerment Event & AGM in March 2019. We had some fantastic speakers, thank you Dr Melanie Brown and Chris Bonnello, the awesome Fairplay Signing Choir and a packed Marketplace of providers. Thank you to everyone who attended and helped with the planning, organisation and setting up. The beta link to the new Derbyshire Local Offer website is available to use on the existing Local Offer website (at the top of the page) giving an opportunity to provide feedback before the site is fully launched at a later date. The results from our mini survey on Facebook are here! Thank you to everyone who took part in our surveys over the 4 days mid April, we took the reports to the Local Authority and are being presented at the SEND Stakeholder Meeting Wednesday 25th April. 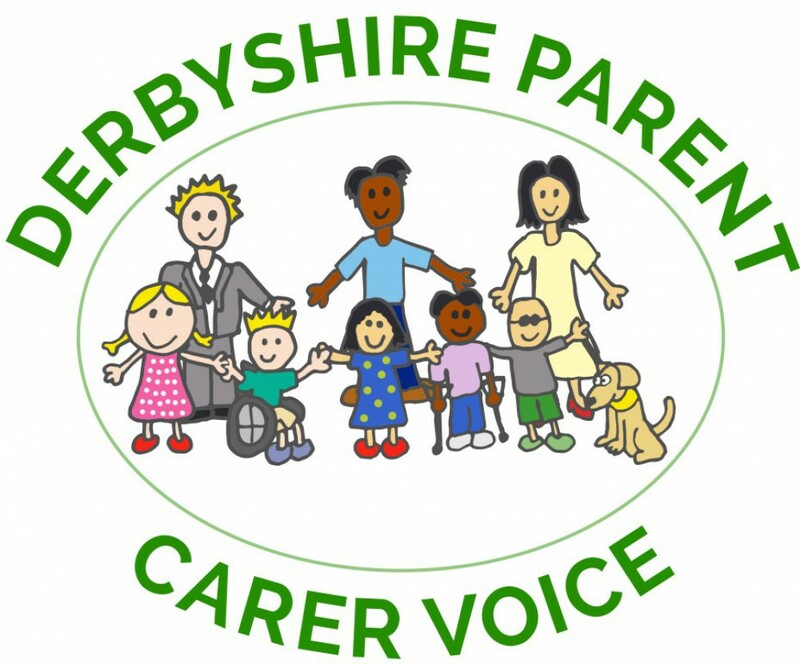 This Stakeholder Meeting is a multi agency meeting with professionals from health, education, commissioning, schools and not forgetting parent/carers from Derbyshire Parent Carer Voice representing parent/carers around the county. Also at this meeting ideas and views are taken forward and thanks to your input on these Snap Surveys we have evidence to question and request information from the Local Authority and recommend changes. Within the reports below, there is a report from 2017 with the same GRIP questions to compare. All the information is confidential and at the end of each report are the results from Survey Monkey to evidence the content. Thanks to the generous grant from NDVA we were able to offer our parent/carers in Chesterfield and surrounding areas a Christmas themed Health & Wellbeing Day on Friday 1st December 2017 at the Assembly Rooms in Chesterfield. As well as a fantastic buffet lunch, hot chocolate with cream and Christmas crackers parent/carers were treated to manicures from beauty students at Chesterfield College, facials and make -up from Oraflame, a fitness demonstration from DAWS, Jumping Clay from StraightCurves and of course, some amazing presents generously donated by Irwin Mitchell Solicitors, hand delivered by Santa himself! Here are some photographs from the day. A HUGE thank you to all the students from Chesterfield College for the pampering! Thank you to Oraflame for the make-up and facials! A MASSIVE thanks to Steve from DAWS for the Fitness Demonstration! Thank you to Straight Curves for the fantastic Jumping Clay Demonstration! And of course, the amazing ‘Santa’ for delivering the presents and bringing a smile to everyones face! And Irwin Mitchell Solicitors for their generous donation of the Christmas gifts. Some great talent was apparent on the art therapy/craft tables! Also a great opportunity for a drink and a natter. Thank you to everyone who helped to make this such a wonderful day for our parent/carers! If you are a parent/carer of a child or young person with Special Educational Needs and/or Disability and would like to attend this event, please Book Here on Eventbrite. Places are limited and this has been oversubscribed in the past so please do not hesitate to book your place! There was a fantastic turn out for the presentation by Kevin Murphy on Monday 16th October on Preparing for Adulthood. Thank you so much to Kevin for such an informative day with lots of questions answered. Kevin has very kindly forwarded his presentation including the self assessment form that he completed with his son. Please remember that this is his son’s self assessment individual to him and to be used as a guide only. Kevin Murphy has prepared this session sharing his son’s journey and transition from Children’s Services to Adult Services. Come along and find out information and pick up tips for preparing your child/young person for this transition. There will be free refreshments and buffet lunch for all attendees. Places are limited so please click here to book your place on Eventbrite.